Click on the icon in the text below for photos. Construction or planning is proceeding on the remainder of the route. Between the HT current ending at Dennis Road in Musconetcong Gorge and the Delaware River, current plans are to bring the trail west to the Delaware River to cross into Riegelsville, PA., using a combination of road walks and public land. 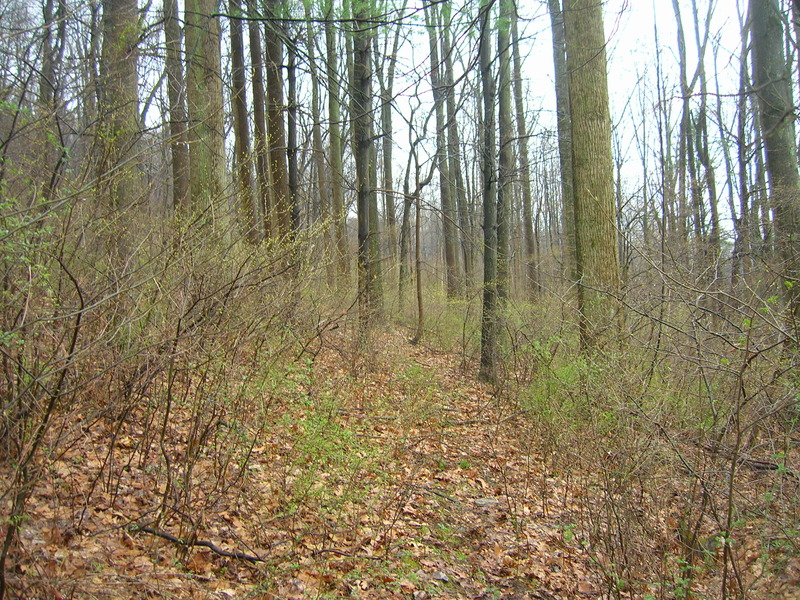 The trail route is currently being scouted in Musconetcong River Wildlife Management Area. Although the HT doesn't reach the Delaware River yet and no HT has been built in Pennsylvania, a sign already awaits the arrival of the trail.